If you need help understanding the property licensing rules in Croydon you have come to the right place! We are experts in housing regulation and have produced this free guide to help you understand the council’s property licensing schemes. To help set the scene, the London Borough of Croydon is in South London covering an area of 34 square miles. It is bordered by the boroughs of Sutton and Merton to the west, Lambeth and Southwark to the north, Bromley to the east and with Surrey to the south. According to the 2011 Census, about 21% (1 in 5) of the housing stock was privately rented which is lower than the London average of 25% (1 in 4). Yes, almost all private rented properties in Croydon need to be licensed. There are very few exemptions. You will need a licence if you rent your property to a single family or individual as Croydon Council have implemented a selective licensing scheme that came into force on 1 October 2015 and lasts for five years until 30 September 2020. There are very few exemptions. If you rent your property as a House in Multiple Occupation, the answer is slightly more complicated. Whilst Croydon Council’s additional licensing schemes have ended, some HMOs will need a licence under the selective licensing scheme and some are covered under the mandatory HMO licensing scheme that applies across England and Wales. You will need a selective licence if your property (house or flat) is let out to a single person, couple or single household anywhere in the borough. Selective licences are also needed for HMOs that are not already licensed under the mandatory HMO licensing scheme. Whilst Croydon’s additional licensing schemes have ended, we have mentioned the old schemes below. This additional licensing scheme ran for five years from 24 August 2010 until 23 August 2015. It applied to all properties that were let out as HMOs and were not already covered by the mandatory HMO licensing scheme. It applied in the council wards of Addiscombe, Ashburton, Bensham Manor, Broad Green, Coulston East, Coulston West, Croham, Fairfield, Heathfield, Kenley, Norbury, Purley, Sanderstead, Selhurst, South Norwood, Thornton Heath, Upper Norwood, Waddon, West Thornton and Woodside wards. In practice it covered most of the borough. On 1 August 2014, Croydon Council introduced another additional licensing scheme covering all HMOs in the borough. The scheme designation said it was due to run until 30 June 2019 although the council have told us the document was wrong. They say that the scheme was only ever intended to extend the existing additional licensing scheme borough wide for the remainder of the original licensing period i.e. until 23 August 2015. So it only lasted for just over a year. Remember that if you do manage an HMO, it will still need a licence under the mandatory HMO or selective licensing scheme even though the additional licensing schemes have ended. In Croydon, it depends on the type of licence you are applying for. For a mandatory HMO licence, a new fee structure was introduced on 1 April 2017. The council charges a flat fee of £250 per room up to a maximum of £5,000. It says if there is separate lounge, you must also count that as a room when working out the fee. From our experience, that is quite unusual and it may discourage landlords from providing a communal living room. Whilst there was a 25% discount for accredited landlords, Croydon Council told us in May 2017 that the discount had been withdrawn, which we think is a shame. For a selective licence, there is a flat rate fee of £750 per property. This information was correct as of February 2019 but could be subject to change in the future. You can view the mandatory HMO licensing fees here and the selective licensing fees here. Croydon Council offer an online application and payment system for mandatory HMO licensing. You can apply by visiting the council's website and then following the 'Apply for it' link on the right of the web-page. Once you’ve completed the application form, they also ask you to scan and upload various supporting documents so make sure you’ve got all your property information at hand. A similar online application process has been introduced for the selective licensing scheme. You can apply by visiting the council's website and then following the 'Apply for it' link on the right of the web-page. Yes, Croydon Council have published a whole suite of HMO standards covering different types of HMOs. They can be downloaded from the council's website. You will need to scroll down to the bottom of their web-page to find them. In February 2015, Croydon Council had licensed 259 HMOs under the mandatory licensing scheme and 289 HMOs under the additional licensing scheme, so 548 in total. In November 2015, Croydon Council said they had received over 24,500 selective licence applications. When we checked again in May 2017, the council told us they had approved 339 mandatory HMO licences and 21,536 selective licences. The council said they were still processing a further 5 mandatory HMO and 7,900 selective licensing applications. To date, the council told us that 2 mandatory HMO licence and 12 selective licence applications have been refused. The council keeps a public register of licensed properties that is regularly updated and can now be viewed online – you can search by postcode for licensed properties in your area on the council’s website. In February 2015, Croydon Council told us they think there are about 352 properties licensable under the mandatory HMO licensing scheme. The council were expecting to license around 30,000 properties under their new selective licensing scheme, so it seems like most landlords have submitted a licence application although there could still be some unlicensed properties out there. Croydon Council told us they took seven housing prosecutions over the three years from 1 April 2011 to 31 March 2014. They took a further one housing prosecution in 2014/15 but none in 2015/16 and 2016/17. Over the last six years, the council have taken an average of just over one housing prosecution a year. The Council have obtained two Rent Repayment Order from the landlords of unlicensed HMOs over the six years from April 2011 to March 2017. One landlord was required to repay £12,369.02 to the Council whilst another was required to repay £6,299.38. This is based on data published by the Courts and Tribunals Judiciary. Whilst we don’t have any figures for the NLA or RLA schemes, we have got information about the London Landlord Accreditation Scheme that is supported by all the London Boroughs. In January 2016, they told us there were 345 accredited landlords in Croydon, which placed them in the bottom third when compared to all London boroughs. By January 2018, that figure had increased to 558, and by January 2019, that figure had increased to 788, which is slightly above average when compared to all the London boroughs. 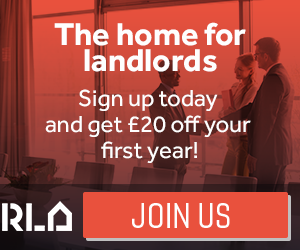 To find out more about becoming accredited, you can visit the London Landlord Accreditation Scheme website here. Croydon Council has already introduced a borough wide selective licensing scheme that has extend licensing to almost every private rented property in the borough. The scheme came into force on 1 October 2015. On 16 March 2015, a report was approved at the Cabinet meeting to implement borough wide selective licensing from 1 October 2015. The decision was then subject to legal challenge, although the council’s decision was upheld by the High Court in August 2015 (read here). There’s a lot happening in Croydon so we will continue to monitor the situation and keep you posted. On 18 January 2019, Croydon Council made a non-immediate HMO Article 4 Direction. A public consultation is underway from 24 January to 8 March 2019 and you can find out more information on the council’s website. When the Direction comes into force, planning permission will be required to change any property from a single-family home (C3) to an HMO with up to six occupants (class C4). So even letting your property to three people who are not all related could require planning permission. The Direction is expected to come into force on 28 January 2020. The changes are not retrospective and so until that date, properties can still be converted under permitted development rules. Mandatory HMO and selective licensing applies borough wide. There is no additional licensing scheme.